Services: Birth Certificates, Death Certificates, Notary Public, Tax Bills, Water & Sewer Bills, Handicap Permits, Planning Board and Zoning Board Applications, FOIL Requests. Services: Financial Reports, Accounts Payable, Payroll. Services: Legal counsel to Village Board of Trustees. Services: Building Inspector, Fire Inspector, and Code Enforcement Officials. Services: Streets and Sidewalks, Storm Sewers, Refuse and Recycling. 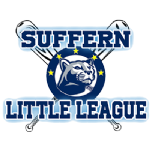 Services: Community Recreation Center, Parks and Playgrounds, Suffern Swimming Pool, Recreational Activities. Services: Police Services, including DARE Program.